Looking for a dash pad in good condition (no cracks) The pad I need is black on top and dark grey on bottom. Also need a pair of power window/power mirror door panels in the dark grey. Last edited by Stinger on Fri Dec 14, 2018 4:27 pm, edited 1 time in total. I'm pretty sure mine is black but if you can send me some pics I can verify when I see yours. If it's a really light grey, then that's not it. I'll send you a PM in e-mail. If yours is black then it’s not stock. Someone painted it at some time. if it's not black... it's really, really, dark grey. I'll take a pic. It's not been painted as one of my other cars has the same dash pad. Could be the lighting that makes it look black. I have med. grey, a dark grey, then the dash pad that is even darker, that we will call very very dark grey. Found pics all over the net that has this combo. Pretty sure that looks like a GT colour combo. Have the same setup in my 87. 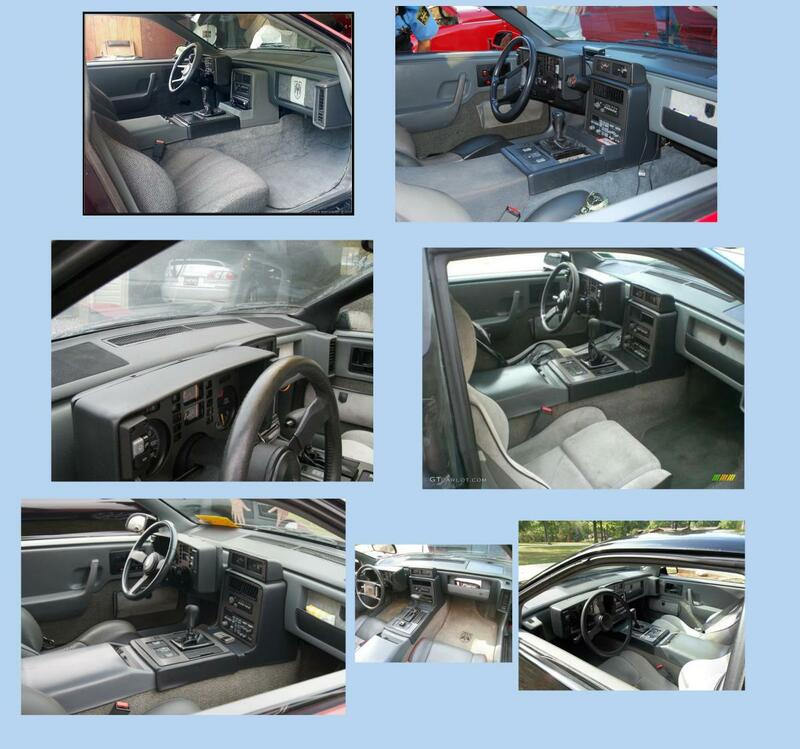 That dash is 86-88 Fiero with the standard grey interior. 84-85 had the light grey only. Interesting as I have an 86 with a light grey interior in it. It has a 5 spd so it's not early production. The dash and every interior trim is light grey or I'd use that. Ok well, I need the standard dash pad for the 86 and at minimum a LH door panel with power mirrors. I'll take a pair of door panels if you need to sell both. thx for all the input, much appreciate it.